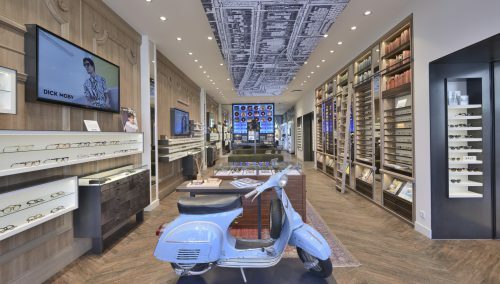 For Juwelier Steltman in The Hague, the interior designers at WSB Retail Design delivered a major renovation with respectful preservation of their architectural highlights from Dutch history. Look carefully and you will see history preserved in a number of interior elements in the central section. The original wooden floor has been brought out from under layers of old carpet and restored. The design of the display cases in the store has been stylishly adapted and consistently executed. New carpets and a lunch area have been added. Secure display cases mean the prestigious brands are properly displayed and protected, and preserved at the same time. The famous motif derived from De Pijp in Amsterdam has been picked up and enlarged in detail in display ornaments and entrance doors. 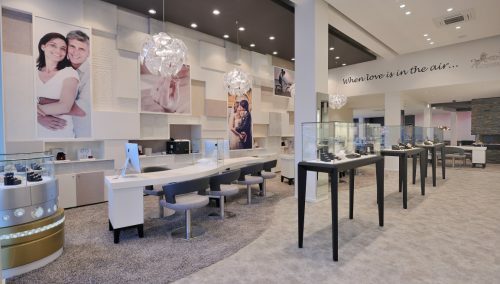 With two exclusive stores on De Plaats in The Hague, Steltman is one of the oldest and most multi-faceted jewellery retailers in the Netherlands. A varied, even royal clientele go to Steltman Juwelier for a wide range of jewellery designed and made in their own workshop. Steltman Watches is the place to go for watches by the top Swiss and German watch brands, including Patek Philippe, Breguet, Cartier and Jaeger-LeCoultre. 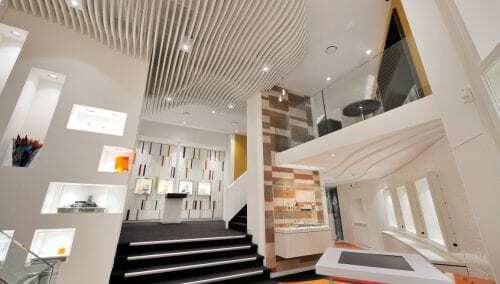 WSB specialises in the design and execution of jewellery store interiors. Steltman celebrates 100th anniversary with exhibition – News – Steltman Juweliers. This year, it is exactly hundred years since Johannes Steltman opened his ‘N.V. Joaillerie Artistique’ on Noordeinde in The Hague. In order to mark this anniversary, the Steltman jewellery store has been completely refurbished and Gemeentemuseum The Hague is holding a retrospective on 100 years of Steltman, including an exclusive catalogue containing historical details and background information on the designs. The exhibition ‘Haagse Chic’ will be open from 4 November 2017 to 18 February 2018. Founder Johannes Steltman maintained close relationships with well-known designers such as Hildo Krop, who personally asked Gerrit Rietveld for lighting advice for the jewellery store, so emphasising the importance of originality and craftsmanship within his business.